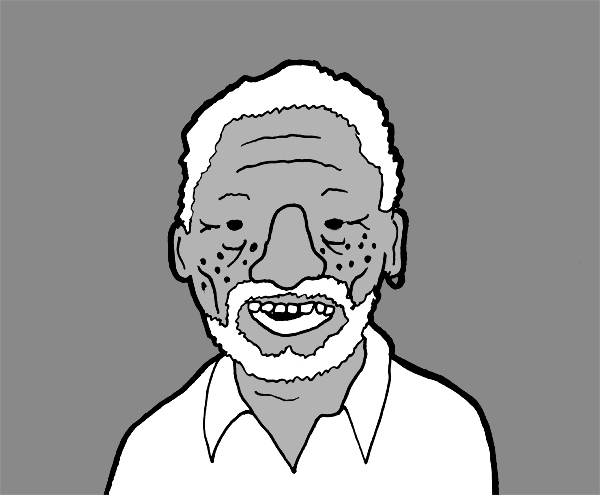 For whatever reason, I have attempted to draw Morgan Freeman. I spent a great deal of time on another picture before this drawn in charcoal pencil which will never see the light of day because it is too terrible even for a blog. It was an attempt at a realistic drawing, but it just ended up wacky and out of proportion. It's been far too long since I did any "real" drawing- I've spent too much time drawing silly comics. Morgan Freeman is awesome to draw because it doesn't matter how bad your picture is, so long as you remember to include the dots then people will know who it is. I recommend everybody draws Morgan Freeman.